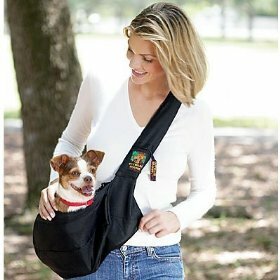 Thanks so much to everyone who entered Dog Jaunt’s giveaway for an Outward Hound Sling-Go Pet Carrier, and thank you to The Kyjen Company for sponsoring it! Their outdoor patio isn’t just one of South Austin’s best places to enjoy a margarita on a warm evening or a bloody for brunch, but Sunday afternoon is devoted especially to dogs and their owners. They have “Hair of the Dog Specials” from 11am-4pm and during the warmer months they have best dog trick contests with treats for all participants. Amanda, please email me your mailing address, and I’ll send you your prize! My address is at the bottom of Dog Jaunt’s “About” page. Didn’t win this time? I have another great giveaway starting soon. Be sure to check back — or click on the “subscribe” link at the top of the sidebar, so that you don’t miss a thing.